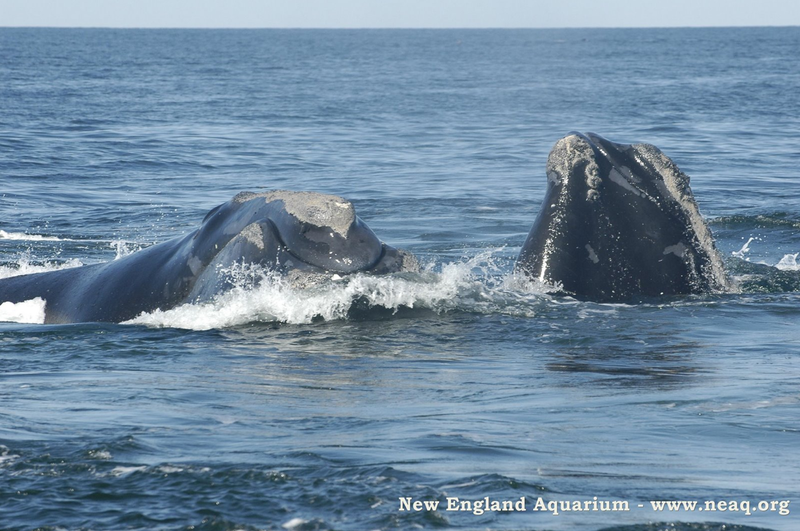 Continuing our survey into the Bay, we found that the right whales had moved a few miles to the east. Throughout the day we found that most of the whales were solitary even though they were spatially very close to each other. We photographed over 35 individuals including 12 engaged in a SAG! The whales in the middle of the SAG rolled slowly around the female, stroking her with their flippers. (For more on this behavior, check out these other posts about SAGs.) Other whales who weren't positioned next to the female patrolled the edges of the SAG, as if waiting for the perfect opportunity to slip in next to her. The SAG held a surprise for us although. One of the whales had a dorsal fin! 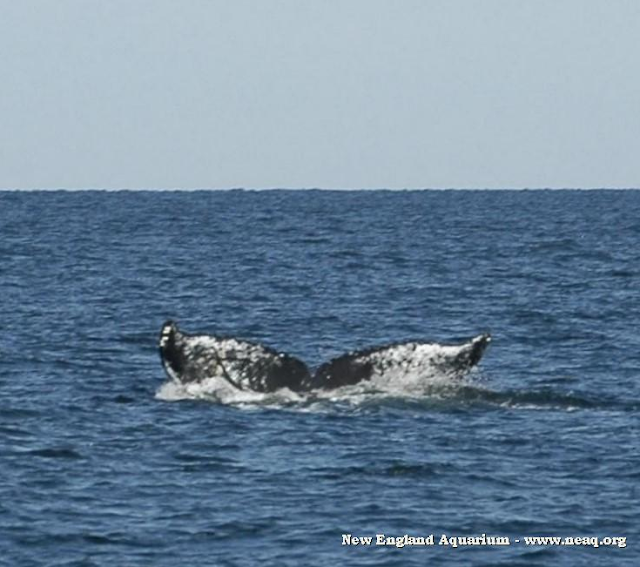 Somehow a humpback whale had ended up in the middle of the SAG! The humpback only remained with the SAG briefly though. As the SAG broke up for a few minutes and then reformed three hundred meters away, the humpback whale headed in the opposite direction. As the afternoon progressed, the tide turned to become poised against the low winds. We turned west and spent the rest of the day photographing whales that we passed on our way back to Lubec. #31: Three Days In A Row! #30: Two days in a row! #29: New Photos of Researchers!